DBT IOC Centre is a collaborative venture of Department of Biotechnology (DBT) and Indian Oil Corporation Limited (IOC) and located at IndianOil-R&D Centre in Faridabad. 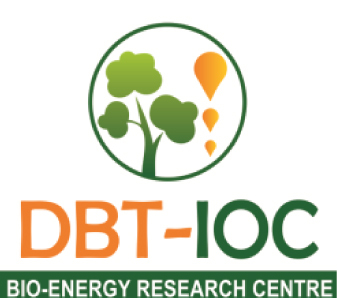 The main focus of the centre is on advance research in frontiers areas like Lignocellulosic ethanol, Algal biofuels, Gas fermentation and Bio-hydrogen. Applications are invited for purely temporary & tenure track positions for about 2 years and further extendable as per requirement. This Centre offers excellent research facilities and a stimulation environment. Qualification: Ph.D in Microbiology/ Biochemistry/ Biotechnology/Life Sciences. Qualification: M.Sc/BSc in Microbiology/ Biochemistry/ Biotechnology/Chemistry.  Applicants with relevant experience/background only need to apply.  All positions are purely on temporary basis and on tenure . May only be extended as per requirement.  Qualification should have been obtained only through regular course (not through distance mode or part time) and from recognized university/institute. Candidates with awarded/provisional degree will only be considered.  All applicants should send the application format and degree copy to mathuras@indianoil.in; guptarp1@indianoil.in. Last date of receipt of applications is 31st August 2018.